Which is the best 3D modeling software to use? There is no 'best' 3D modeling software. Contrary to popular belief, there’s not a one-size-fits-all approach to 3D modeling. Over the year's we’ve seen that different applications call for different design tools. That’s why we’ve started listing some of the most popular software tools used by our community of makers, designers and inventors. You can learn how to 3D model by learning how to use 3D modeling tools such as Rhinoceros, Blender or ZBrush. It will take you a few weeks to become familiar with these software packages and half a year or more to become an accomplished user. Since different applications call for different design tools, we’ve started listing some of the most popular software tools used by our community of makers, designers and inventors. If you visit our 3D Design Tools page you can search according to your preferred platform, typical use and price. What is minimal wall thickness and level of detail? In 3D printing, wall thickness refers to the distance between one surface of your model and the opposite sheer surface. It's defined as the minimum thickness your model should have at any time. Level of detail can be described as the difference height between 2 surfaces (cf. extruded text on a surface). Minimal wall thickness and level of detail both depend on the process being used. You can find more about minimal wall thickness and level of detail in our extensive design guides. How big can I make my model? How big you can make your model differs for the various 3D printing processes we use. We offer a wide variety of different materials which all have certain print dimensions. 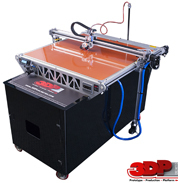 We have visualized them to give you an idea on how big you can 3D print your designs. If you're designing, it can be useful to know that not all materials offer print dimensions equal to the size of a lounge chair (some do). What if my 3D model contains 'errors'? Will you fix it? If you upload your model in our 3D print lab and it contains errors, our team will try to fix it on the spot. However, in case it cannot be fixed, you won't receive printing price instantly, and you can submit an offline price request (free of charge). Then, if you would like to order the model, we can fix it for you. If, for some reason, you cannot request an offline price, just contact us and we'll get right on it! What colors can I get for a model? Once you've uploaded your model to our 3D print lab and chosen a material, you can see which standard colors the material has available. In addition, we have professional painting departments where we can paint your model in any color you wish. If you want your model in a color that is not listed, contact us and we'll tell you what your options are. There is no 'perfect' 3D printing material or process. 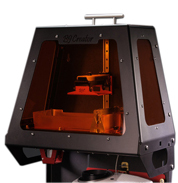 	There is no 'perfect' 3D printing material or process. There are a lot of criteria to determine the best suited material for your design. Most common are size, level of detail, which kind of material, use, color and finish. Just contact us and we'll rightly guide you on it! How do I get a price for my design? 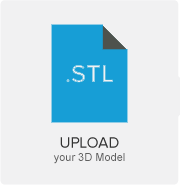 Upload your 3D design to the 3D print lab by pressing the upload button and selecting your file. Your file will then be uploaded and verified. Select the material in which you would like to materialise your design and the price will be shown. If the format of your file is not supported, you can zip your file, upload the zip file and request an offline price or email it to contact sales@meltingmints.in. One of our support engineers will contact you shortly after. Can I group my models into one file? No. Although there is nothing wrong with having more than one model in a file while designing, the difficulty starts, when we want to 3D print the models. This is why, when we discover that grouped models have been ordered, the order is only accepted after customers consent on modified quotation. Our online prices are only valid for single model files. 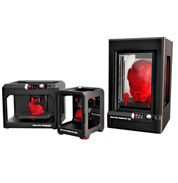 The reason is that in addition to the printing cost, each model has its own handling cost, and this cost depends on the model as well as the material you choose. Some people see this as a chance to cheat the system since the handling cost will only be charged once and will include all the models in the 3D file. However, although it may seem like a good way to save a little money, there are some risks involved. The website doesn't give me a price for my uploaded model. What now? In most cases, the price for an uploaded model can automatically be calculated online. Sometimes however, the price is not available, and this can be for several reasons (dimensional problems, errors in the design...). When this occurs, you will be asked to request an offline price (free of charge). 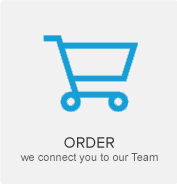 One of our support engineers will then contact you within 48 hours during business days. What if I can't upload my model through the website? If you are unable to upload your models, you can email them to sales@meltingmints.in. In cases where the file is less than 5 MB, attach it to the email. Otherwise, you can send us a link from where we can download the file. Services like WeTransfer are free and provide easy upload facilities, but don't give guarantees about confidentiality.We always appreciate feedback why it wasn't possible to upload your model in the 3D print lab. Can I get a bulk discount for large orders? 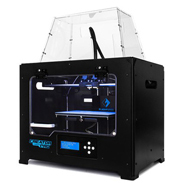 Yes, for most orders in our 3D print lab, the unit price varies, depending on the quantity of copies. But we are also capable of handling really large orders and huge volumes, for which we can give you an offline price. Or just contact us and we'll get right on it! What happens if I order something that can't be printed? 	Before sending the models to the printers they are checked for printability. If we encounter problems, we will contact you and, if possible, suggest solutions to make them printable. If we cannot find a solution, your order will be cancelled and your money will be refunded. 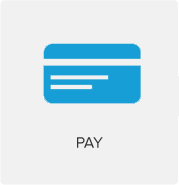 It is possible to pay with net banking. 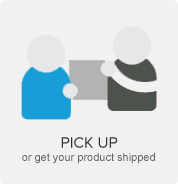 That depends on where you want your design to be delivered. For non-EU-countries no VAT will be applied. For EU-countries the VAT amount will be added to the total amount and can be claimed back via national tax authorities if you have filled-out a valid VAT number. VAT for EU-countries (excl. Belgium), can be prevented if you create an account, and after we have validated your VAT number. How long does it take to print a model? The standard delivery time (time between placement and shipment of your order) is 10-20 business days (except for priority orders), and depends on the complexity, material, and finishing of your order. Most of the orders are shipped within 10 business days. How accurate can you print my model? Dimensional accuracy varies for each material. With our experience the prints obtained are highly accurate and with tolerance of 0.2mm; maximum resemblance to the original 3d model. What is the surface quality of a finished model?